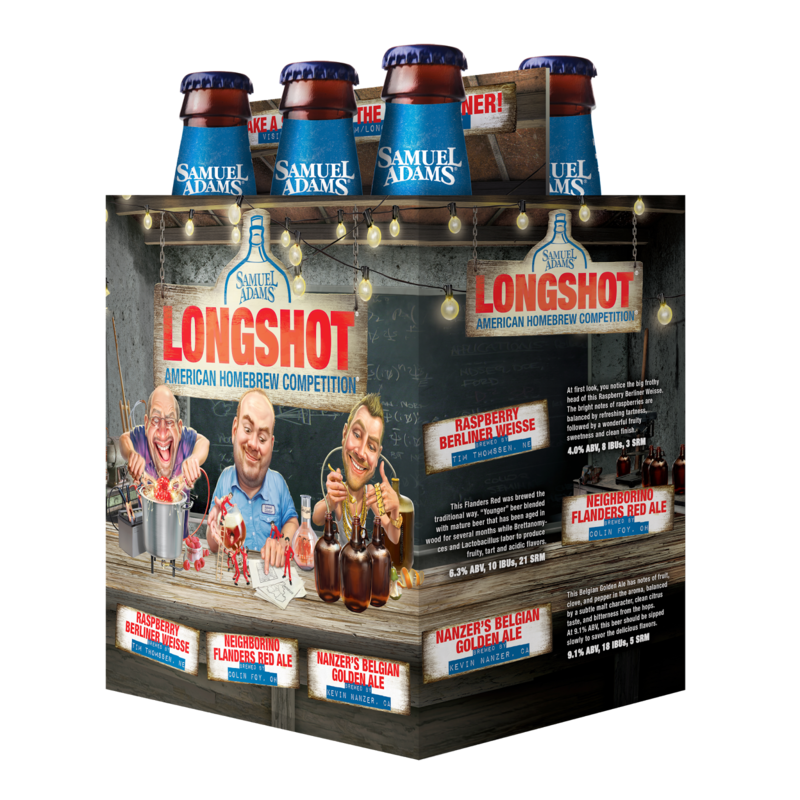 BOSTON, April 28, 2016— The brewers at Samuel Adams proudly announce a call for entries for the 2016 LongShot American Homebrew contest, and the release of the LongShot Variety six-pack featuring the winning homebrews from last year. 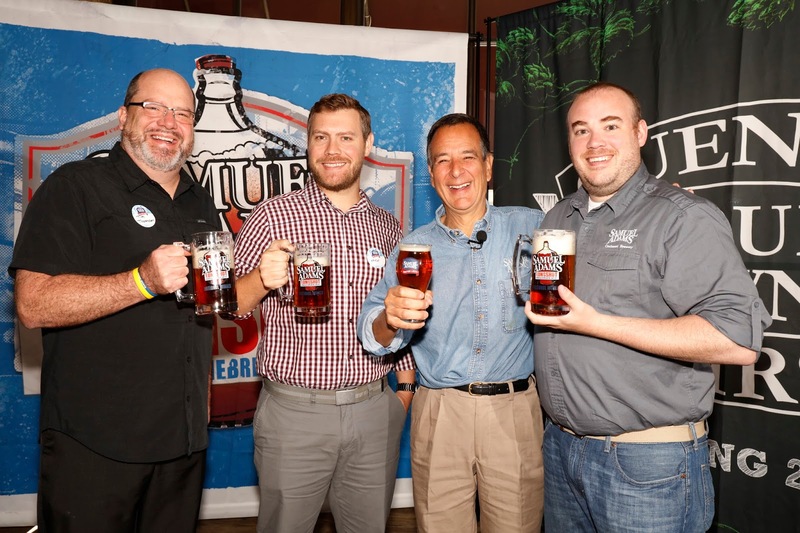 This year marks the 20th anniversary of the national contest, which Sam Adams founder and brewer Jim Koch first started in 1996, when there were barely 1,000 breweries operating in the U.S. Today, there are more than 4,000 American breweries in operation and more than 1.2 million people who brew their own beer at home. Ever since drinkers got their first taste of Boston Lager in 1985, Jim has made it his mission to give back to the craft beer and homebrewing communities through programs such as Samuel Adams Brewing the American Dream and the Craft Brewer Experienceship, Hop Sharing, and the LongShot Homebrew competition. Today, America is the envy of brewers in the rest of the world, where entrepreneurs are taking their inspiration from American craft brewers. Jim Koch created the Samuel Adams LongShot American Homebrew Contest to celebrate the innovative spirit of American homebrewers. Jim himself has deep homebrewing roots having brewed the first batch of Samuel Adams Boston Lager in his kitchen 32 years ago, and recently released a book titled “Quench Your Own Thirst,” which details the lessons he’s learned over the past three decades as a brewer and an entrepreneur. A number of past LongShot winners have followed in Jim’s footsteps and gone on to become professional brewers, turning their homebrewing hobby into a full-time career, including Cesar Marron (2013), Don Oliver (2006), Bob Gordash (1996), and 2015 winner Tim Thomssen, who left his full-time job to join a brewery shortly after he won. To celebrate the contest’s 20th anniversary and honor craft beer innovation, Samuel Adams is asking homebrewers to submit their best and most innovative beers for this year’s contest. To be considered for the 2016 LongShot contest, homebrewers must submit a beer whose style is part of the Beer Judge Certification Program (BJCP) Style Guidelines. A full list of applicable styles can be found at http://bjcp.org/stylecenter.php. The 2016 judging panel will consist of notable seasoned brewing experts from across the country, and for the first time, past LongShot winners. Winners will be announced in early October at the 2016 Great American Beer Festival in Denver. 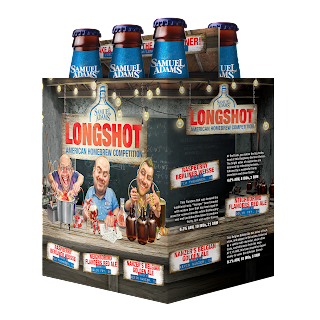 The ultimate prize: entries from two winning homebrewers and one Samuel Adams employee winner will be featured in the Samuel Adams LongShot variety pack, available nationwide in 2017. Those interested in entering can visit www.samueladams.com/longshot for contest rules, regulations and information on purchasing a homebrewing kit. The homebrew submission window is July 1-July 22, 2016. While Samuel Adams is accepting entries for the 2016 contest, the Samuel Adams LongShot American Homebrew Contest variety six-pack with winning brews from the 2015 contest will be available nationwide this spring in select retail locations. The variety pack will include two bottles each of Tim’s Raspberry Berliner Weisse, Kevin’s Belgian Golden Ale, and Colin’s Neighborino Flanders Red Ale. · The beers were judged on the aroma, appearance, flavor and mouthfeel according to the style category under which it was submitted. Eight semi-finalists were selected during the first round of judging conducted at three regional judging locations in New England, California, and Illinois. · The final winners were ultimately selected by a panel of industry judges including Jim Koch. The winning brews were judged as the best examples of their style. Industry judges include Bob Townsend of the Atlanta Journal-Constitution, Tony Forder of Ale Street News, John Holl of All About Beer Magazine, Jason Alstrom of Beer Advocate, Don Russell (aka “Joe Six Pack”) of Philadelphia Daily News and esteemed beer writers Jay Brooks and Lisa Morrison. · The Sam Adams employee winner is voted on by visitors to the Boston Brewery. The Samuel Adams LongShot Variety Six-Pack is available nationwide in select retail stores beginning in April for a suggested retail price of $9.99 -$10.00 (prices vary by market). Samuel Adams, Sam Adams, Boston Lager, Brewing the American Dream, LongShot, and American Homebrew Contest are registered trademarks of The Boston Beer Company.